The Bastrop Public Library (BPL) has all sorts of fun in store for kids this summer. 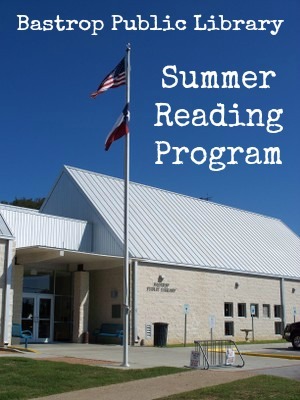 Besides bi-weekly story times and Monday movies, they also have an awesome Summer Reading Program planned with crafts, performers, science fun, drumming, parties, and more! Bastrop Public Library also offers lots of great activities for adults, including computer classes, a book club, and an Adult Photo Challenge. Plus, you can always check out books and videos! For more information about Bastrop Public Library, click here.